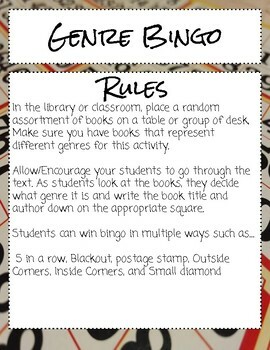 In the library or classroom, place a random assortment of books on a table or group of desk, Make sure you have books that represent different genres for this activity. 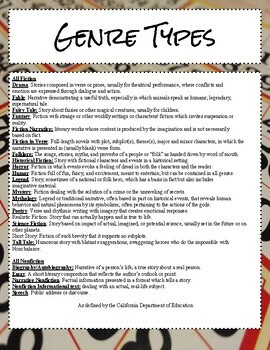 Allow/Encourage your students to go through the text. 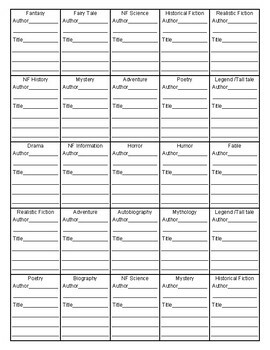 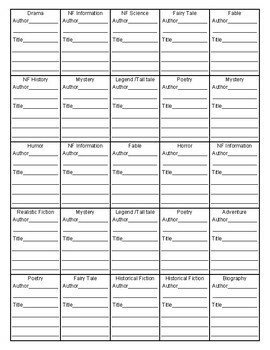 As students look at the books, they decide what genre it is and write the book title and author down on the appropriate square.